On Thursday, November 1, we take a sharp turn and read the classic play Dutchman from Amiri Baraka (then named LeRoi Jones). For Thursday, read only the first half of the book: the play Dutchman. Even though it’s short, you need to read it slowly and carefully. Presentation by Gordon, Nelson, Kevin, and Becca. 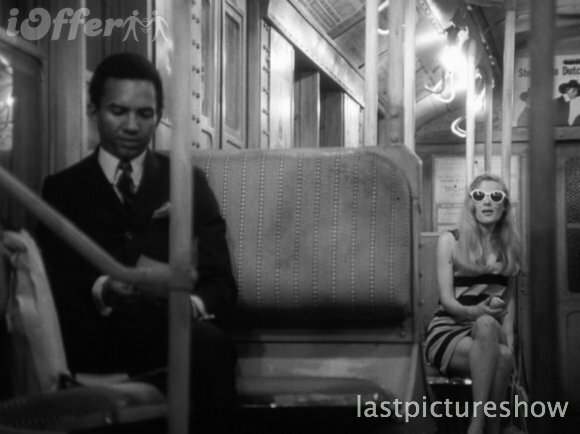 For Tuesday October 23:, we take a detour into representations of the city in film. 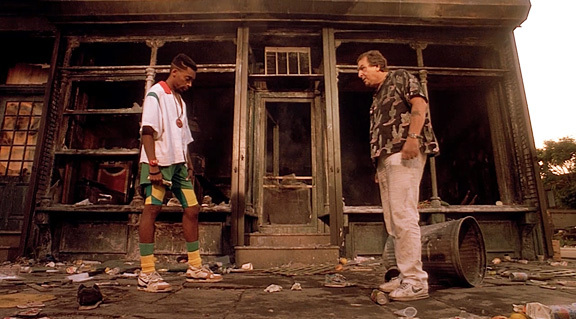 Spike Lee’s Do The Right Thing won the vote, so that’s what we’ll watch. We’ll spend the entire class on the first half of the film. DTRT is now a classic film, but was extremely controversial at the time. commenting on race relations, gentrification, police violence, and much more. We’ll focus on the aspects of race relations, police brutality, gentrification, and urban space as seen in the film. 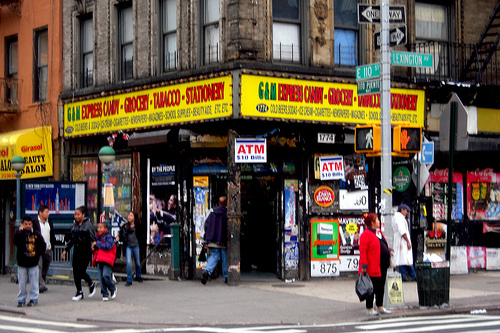 Read the excerpt from from Murray Forman’s The ‘Hood Comes First: Race, Space, and Place in Rap and Hip Hop on reading urban space, which is a PDF on the Readings page. For Thursday October 26:, we finish watching Spike Lee’s Do The Right Thing. Read this article from New York magazine on the intersection of race and Brooklyn gentrification. If you didn’t read the excerpt from Murray Forman’s The ‘Hood Comes First: Race, Space, and Place in Rap and Hip Hop on reading urban space (PDF on the Readings page), then please do so.